Well known producer Dil Raju and producer Kalaipuli S Thanu will be releasing the Telugu version of Vijay’s ‘Theri’ in Andhra Pradesh and Telangana. The movie is currently in post-production and the Telugu title will be announced by the team shortly. Theri has been directed by Atlee, who shot to fame with ‘Raja Rani’. Made with a big budget and high technical values, ‘Theri’ is carrying a lot of expectations not just in Tamil Nadu but in Andhra Pradesh and Telangana as well. The success of the film’s trailer and teaser in these two states is a testament to the buzz around the film. 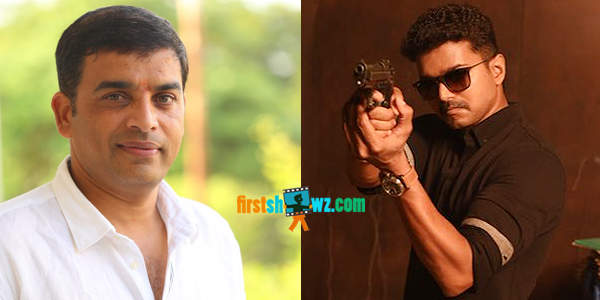 “Vijay is in great form with hits like Thupaki and Atlee has already made a name for himself with Raja Rani. I am confident that the film will do very well here. Sri Venkateswara Creations and Kalaipuli Thanu will be releasing the Telugu version of the film”, said Dil Raju. Vijay, Samantha, Amy Jackson, Prabhu, Radhika, Mahendran and other senior actors are playing important roles in this movie. Cinematography – George C Williams. Producers – Raju and Kalaipuli S. Thanu.